Lexmark’s Training and Certification solution leverages Lexmark MFPs to make testing and grading easier and more affordable. By automating test creation and grading, our solution helps manufacturers save time, lower expenses of employee evaluation and provide visibility to meet compliance requirements. 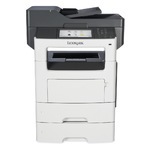 The Lexmark MX812de MFP has all the features you need to streamline manufacturing processes and rugged construction. Full-featured A4 overachiever challenges color A3 specs. Lexmark Training and Certification replaces slow, error-prone manual test administration and grading with an automated, easy-to-use solution. 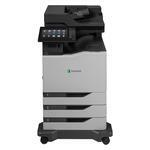 All completed tests are scanned on a Lexmark MFP, sent to the grading software and automatically scored. From there, results are sent to your existing HR or training system. Your administrators are no longer required to shuffle paper or key in data, so they can stay focused on providing quality training and you’ll generate results with greater speed and accuracy. Creating paper tests from your corporate headquarters, distributing them across multiple locations and then shipping them back for grading and input is expensive and often wasteful. To help, Lexmark’s Training and Certification solution allows instructors to print exams and personalized answer sheets on site and on demand. 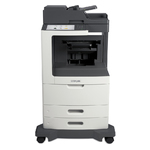 This ensures that only the materials that are truly needed are printed, so you’ll use less paper and supplies and eliminate the cost of shipping back and forth. And, since your instructors have more control, they’ll be able to easily design and update materials without paying customization fees to external vendors. When paper-based training results are stored locally and spread throughout filing cabinets across your organization, a complete view is impossible. Lexmark Training and Certification converts paper answer sheets into digital versions so you can view results anytime, anywhere. By integrating seamlessly with your existing systems, the solution makes it possible to automatically export test results into standard file folders or core business systems. Stored electronically, results can be located and reviewed with just a click of a button--no more searching through file cabinets. And with a view that complete, audits and compliance will be a breeze. Quick feedback on test results is critical in a factory environment. But when tests are graded and reported manually, results are often delayed or even incomplete, directly impacting your ability to carry out production processes efficiently. 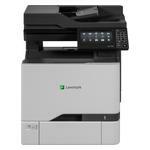 With the automation made possible by Lexmark Training and Certification, electronic results and comprehensive analyses are available as soon as the test is completed. Employees and management know immediately whether an employee has passed a particular training module so that they can be utilized on the production floor without delay. Our Training and Certification solution was built to be flexible enough to accommodate your unique needs in a variety of testing scenarios. Here are just a few examples.